Identify what makes your brand special, what kind of unique value does your product offer? Like any form of advertising it’s important to separate yourself from the completion. Make sure you include your value in the copy of your ads. Remind your customers why they should choose you over someone else. Try to be specific as well, quantify your value – do you offer free shipping? 10% off? Including pricing, promotions, or exclusive offers draw your customer in. This is especially important as fewer people click on paid advertising. Make you’re clicks count as qualified leads. Vague offerings may generate higher click counts but likely result in lower conversion rates. It’s important to get customers who are actually interested in converting to click on your ad. There are two main benefits for including your keywords. The first is to increase relevance to your user (note that I said Google is basing everything on the user experience), and secondly, that keywords that match up appear in bold, drawing even more attention to your ads and increasing the likelihood that your customer will click on your ad. 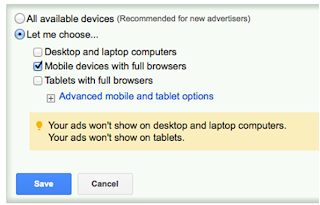 The more relevant Google thinks your ad is the better placements you’ll get. Another element that goes into creating a killer text ad is relevancy, or “Quality Score.” The landing page experience has a huge effect on this, thus affected conversion rates, bounce rates, and infinite number of other elements. If your landing page doesn’t have much to do with your ad or keywords Google will rank your ad poorly. Make sure your ad links to a page that has relevant content, keywords, and conversion opportunity. If someone searches “gold sneakers” and you have a category page dedicated specifically to gold sneaker, you’d want to choose that as your destination URL instead of the home page or purple t-shirts page. Targeting is a bit broad considering the different methods you can use to target an Adwords Campaign. This can include device type, placements, locations, etc. In reference to writing ads though, device type is one of the most important for conversion rates. For example, people searching on mobile devices are more likely to click on ads with shorter, more direct content (obviously since they’re screens are smaller). Also keep in mind if you site is not mobile enables, driving traffic back to your site is probably not the best strategy. In fact, for mobile devices, you should probably have a separate campaign anyways (unless you’re opted into enhanced campaigns which is really a whole other story). Adding in click to call extensions, or phone numbers is important as well for mobile campaigns. While these elements are important for increasing your ad ROI, there are always more options for optimizing your spend to get the most for your money. For more information on digital advertising tips, techniques, and trends, check out my author page.